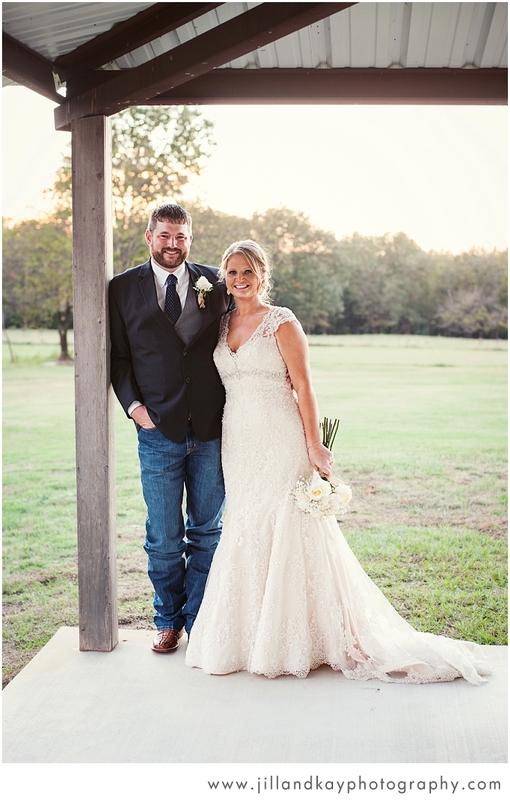 Introducing… Mr. & Mrs. Corey Hudnall! 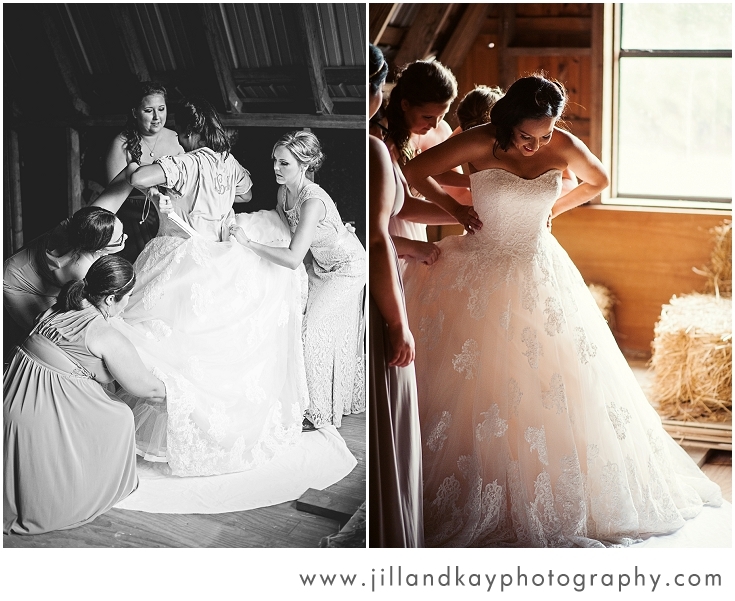 Alicia's group of gals were such fun to be around, and added a lot of laughter to the day! 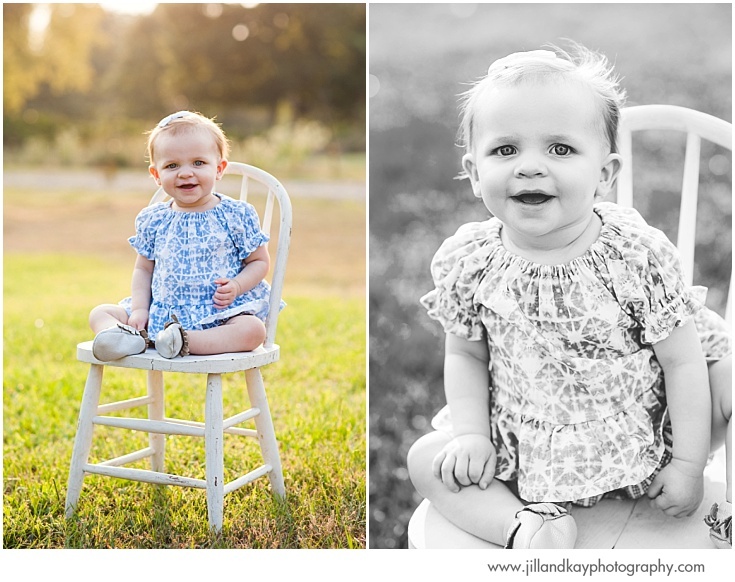 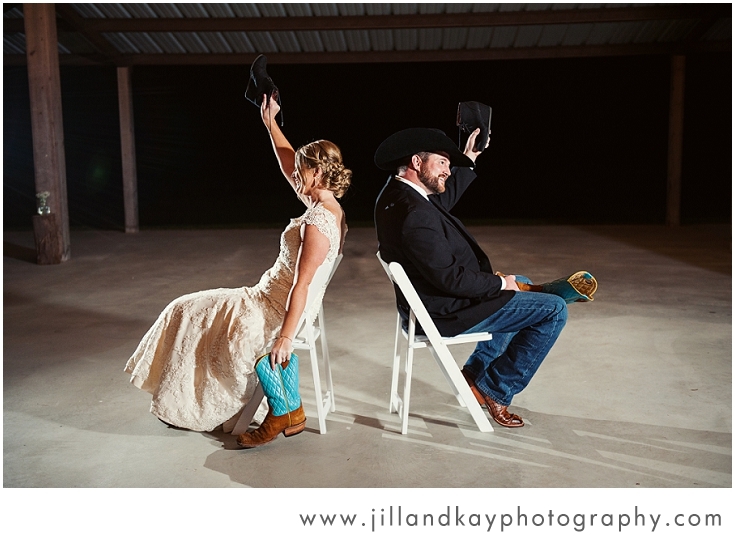 she laughed and smiled and said, "Well, Corey's all cowboy!" 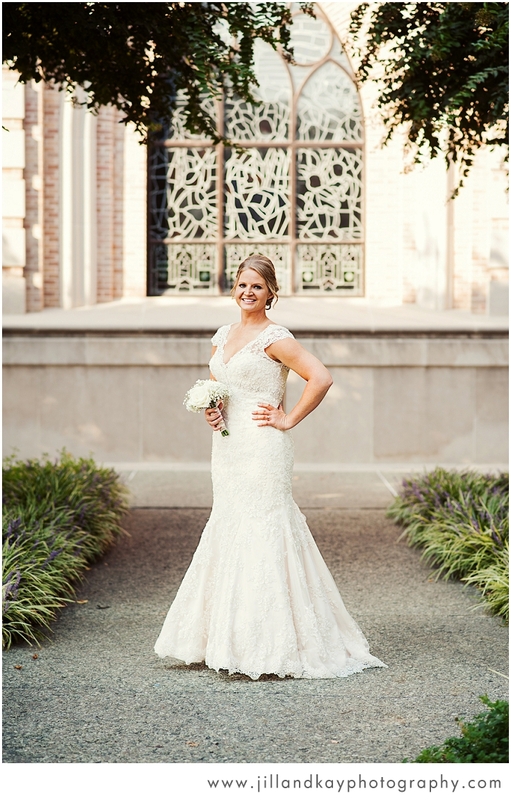 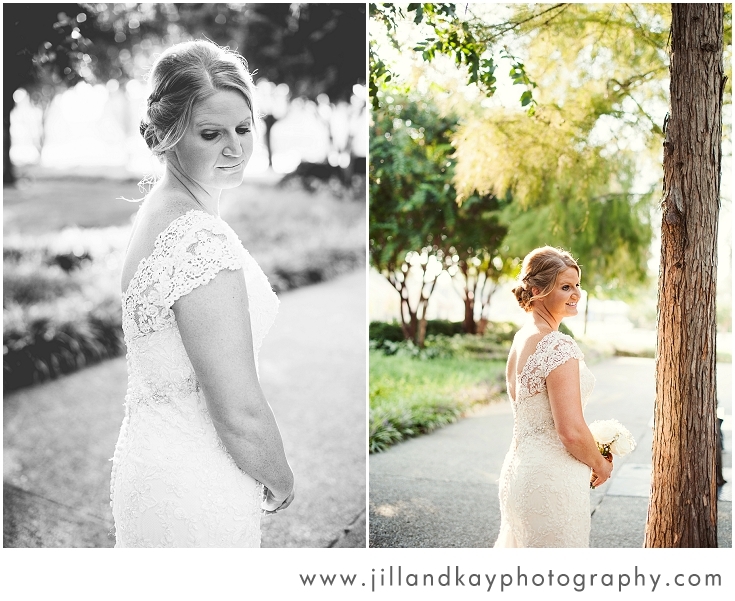 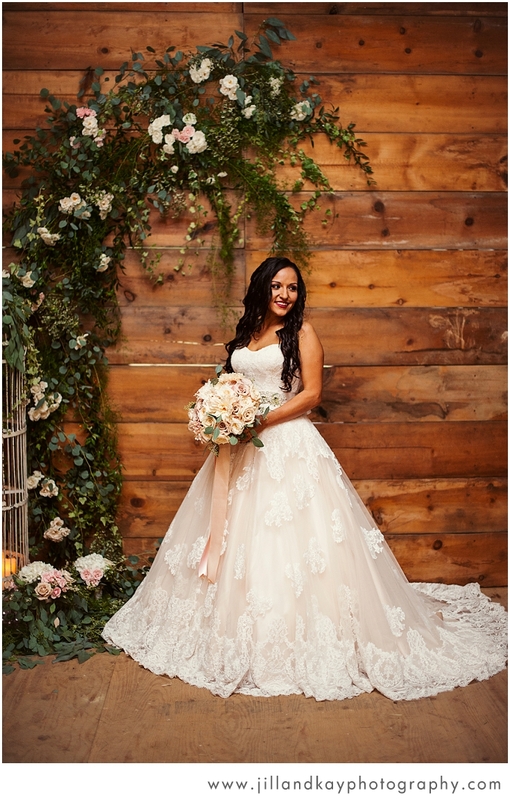 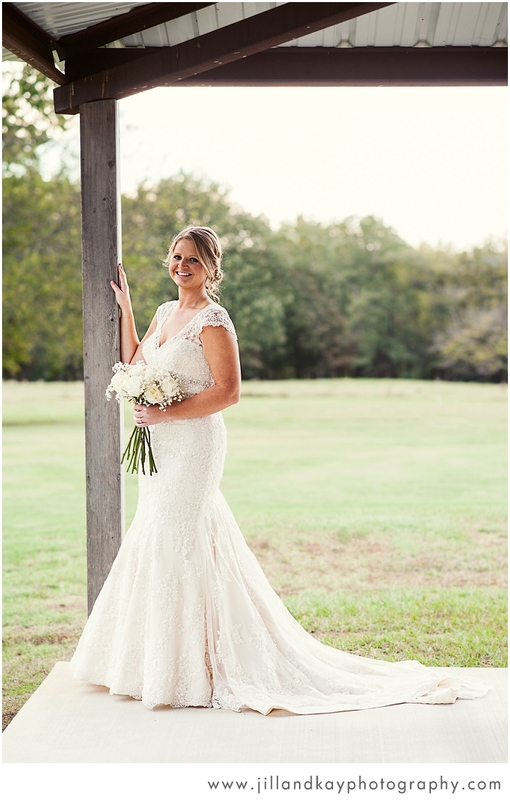 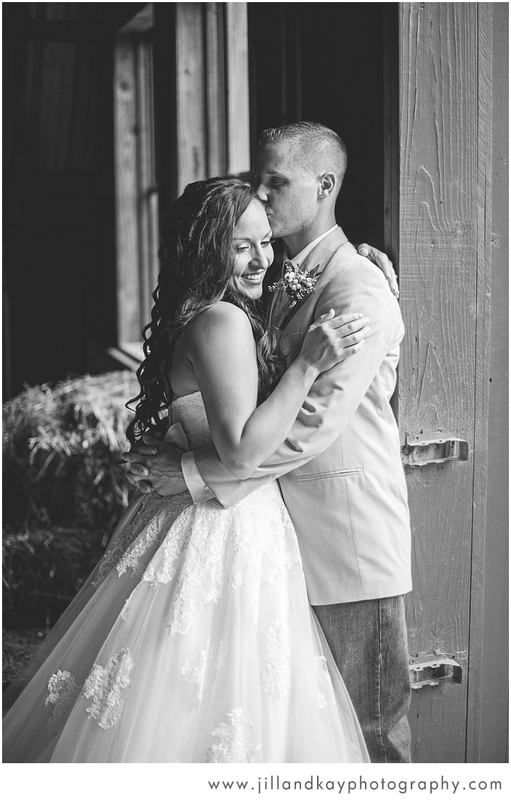 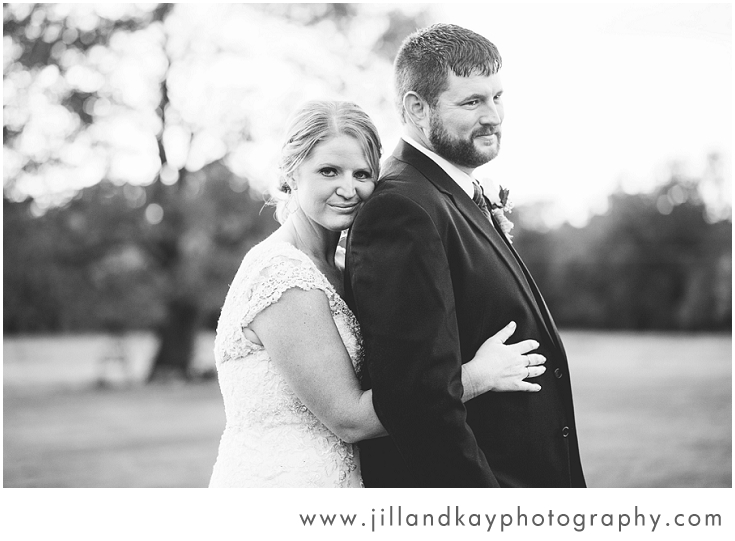 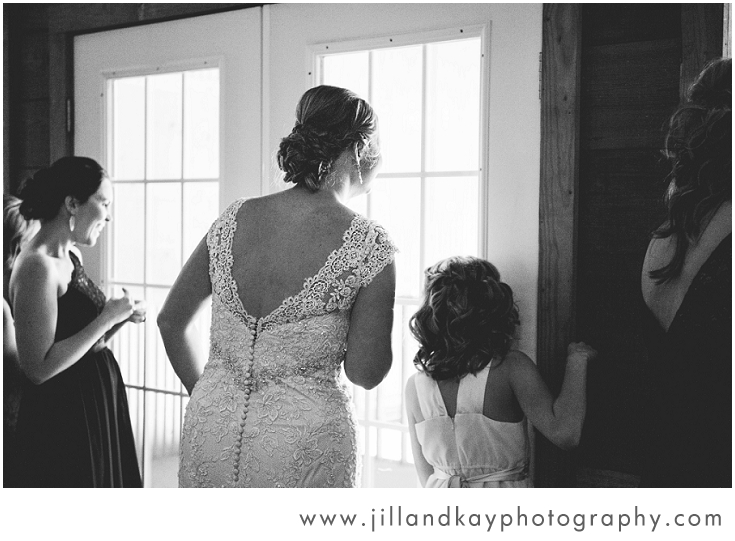 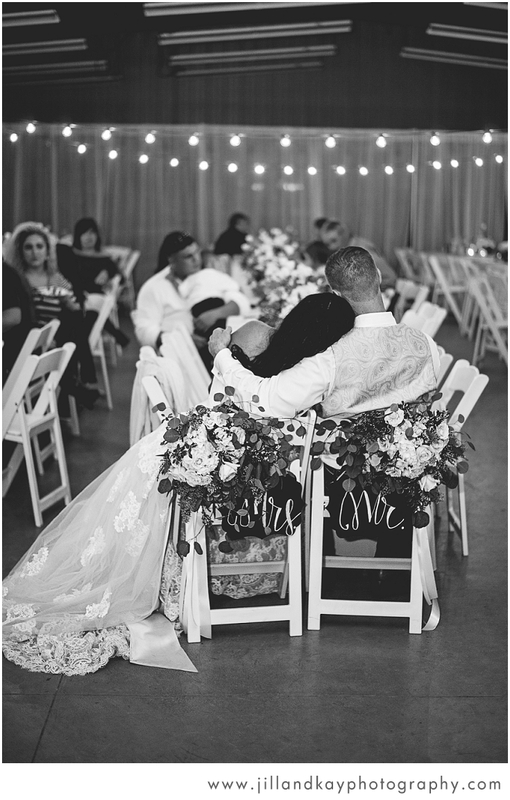 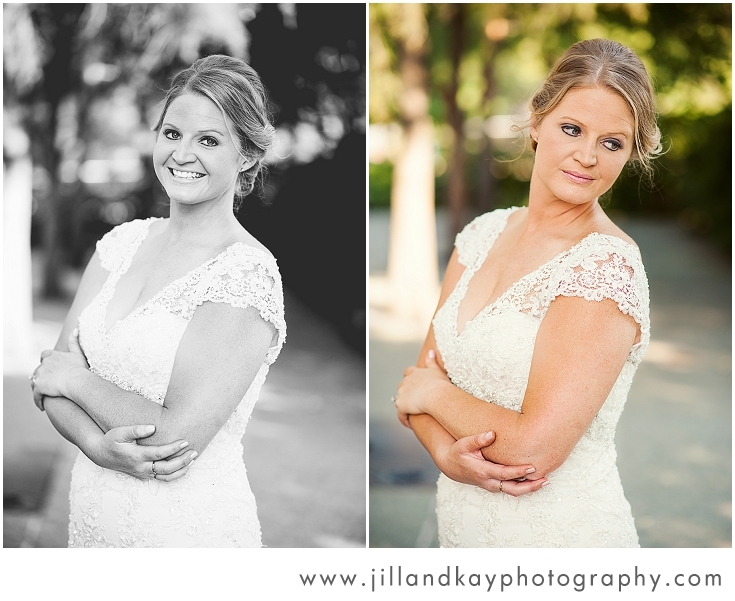 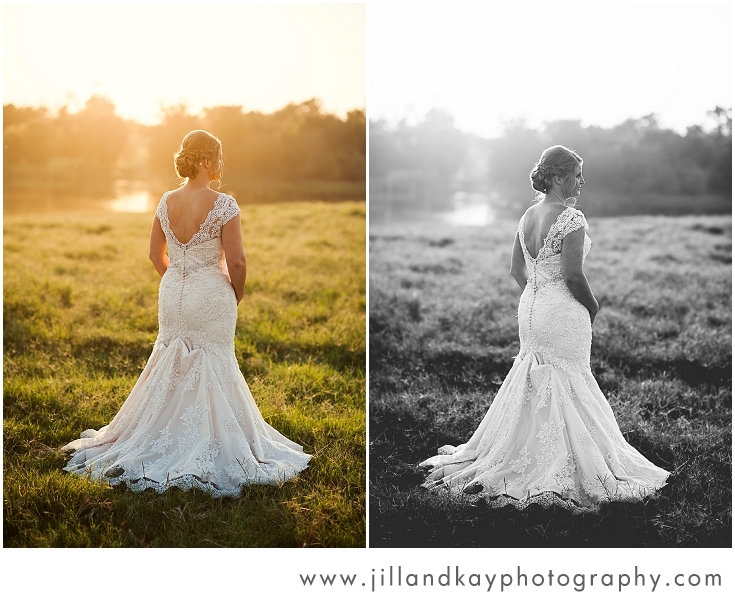 Now I know why He saved the best for last…"
We loved the back detailing on Alicia's gown - beautiful! 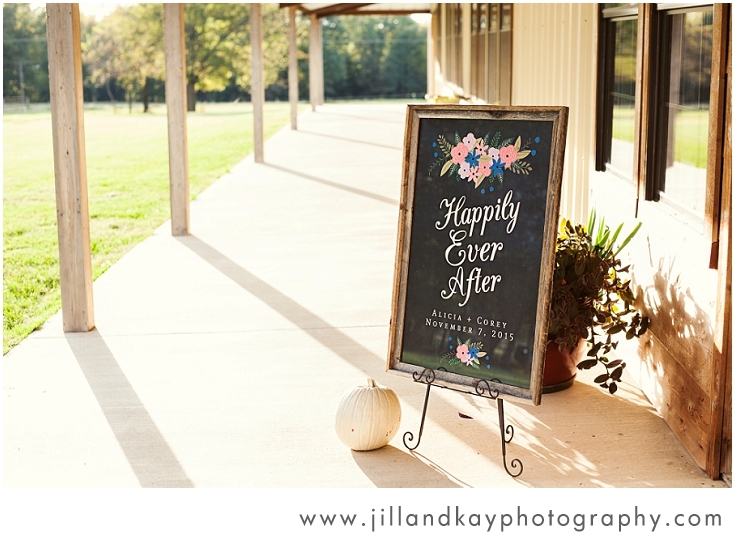 A few hours before her wedding rehearsal, Maricela ran up the sidewalk to our front door, excited to pick up some last minute bridal prints. 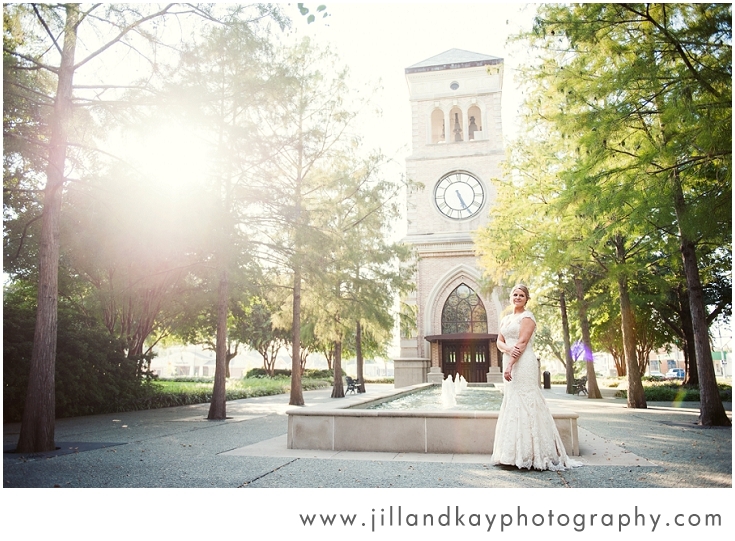 Before leaving, she just smiled and said, "Things are crazy, but it's all good - I'm getting married tomorrow!" 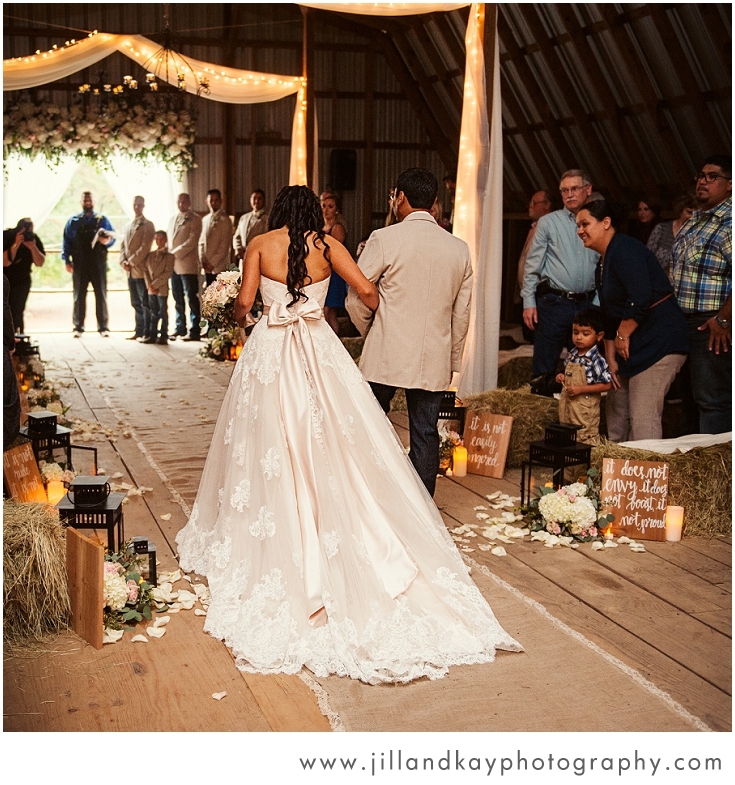 That same excitement held true the next day, as guests streamed into the barn beneath brightly colored umbrellas. 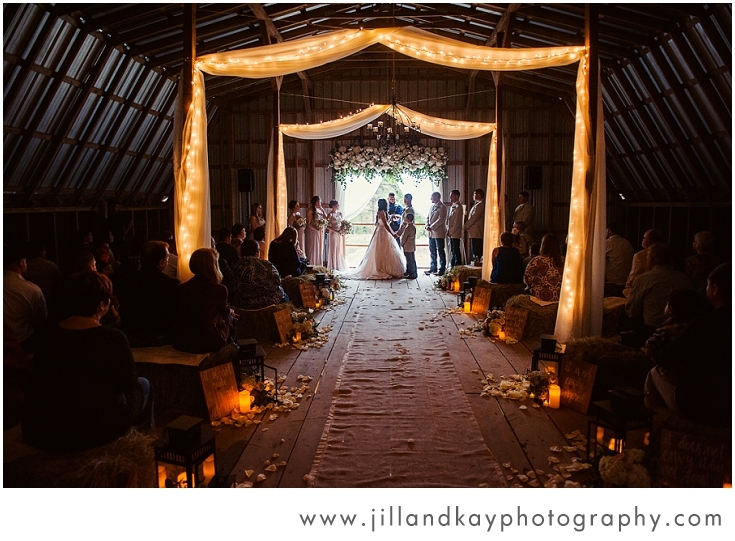 The hayloft doors were open a bit, allowing a cool breeze through, along with the sweet smell of rain. 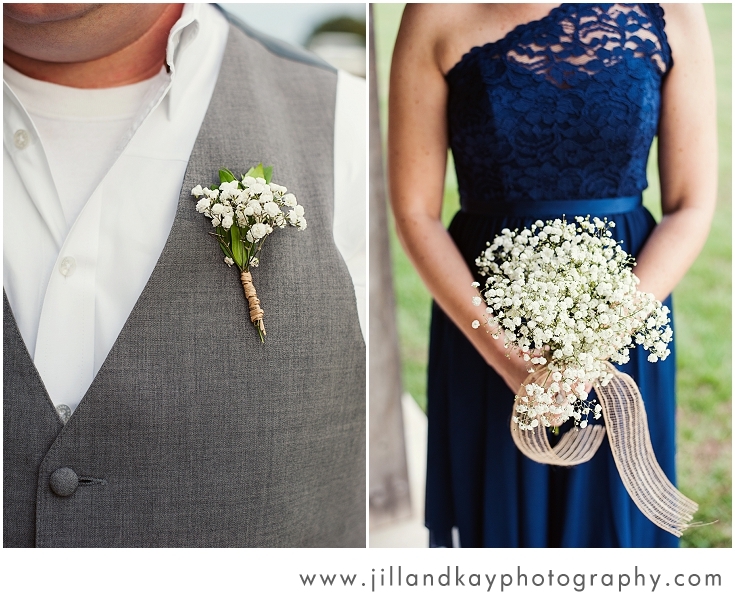 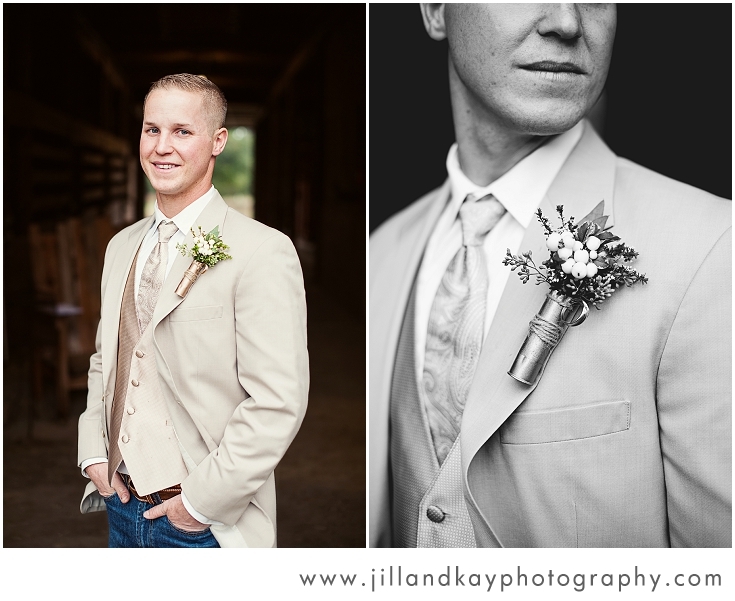 Also, we found that Boog's boutonnière is a new favorite of ours - painting a shotgun shell gold was an ingenious way to make it uniquely suited for the groom and his groomsmen. 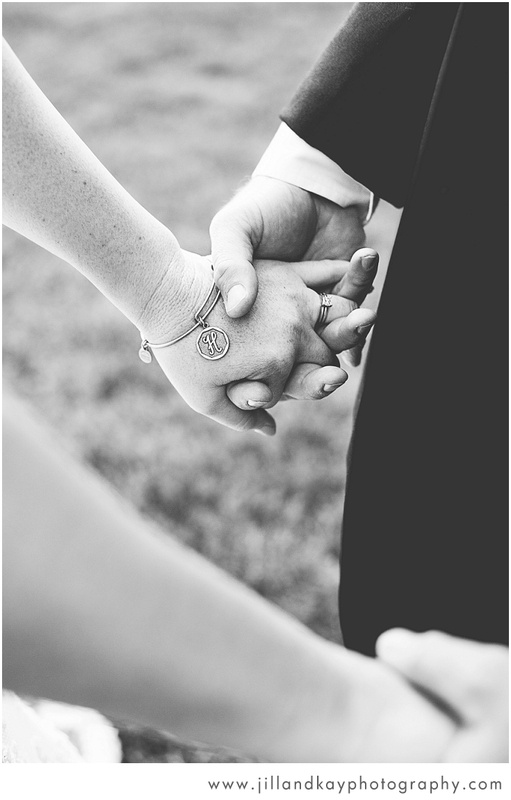 However, the most special touch was the addition of his grandfather's wedding ring. 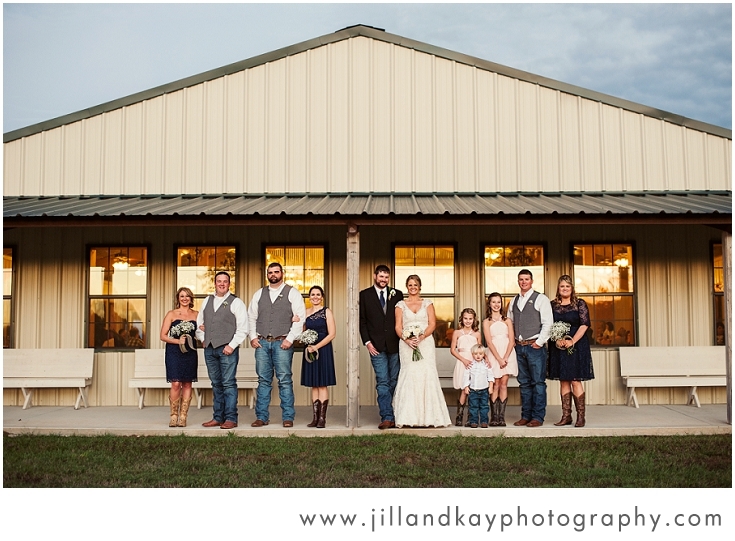 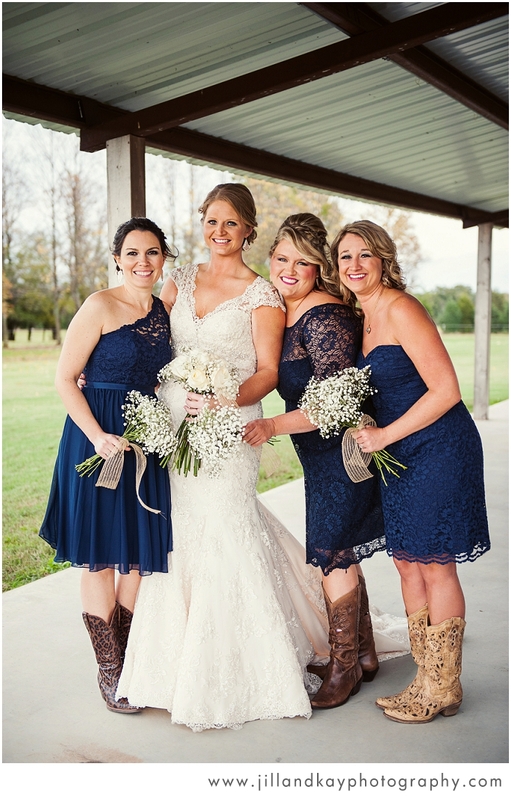 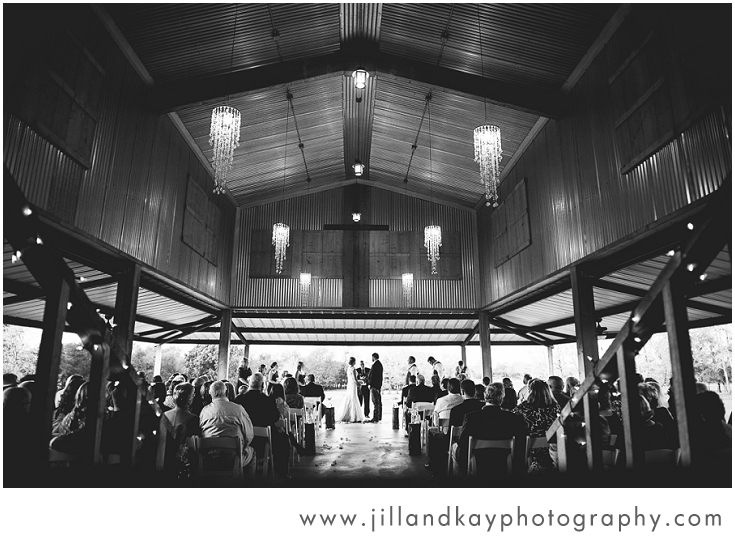 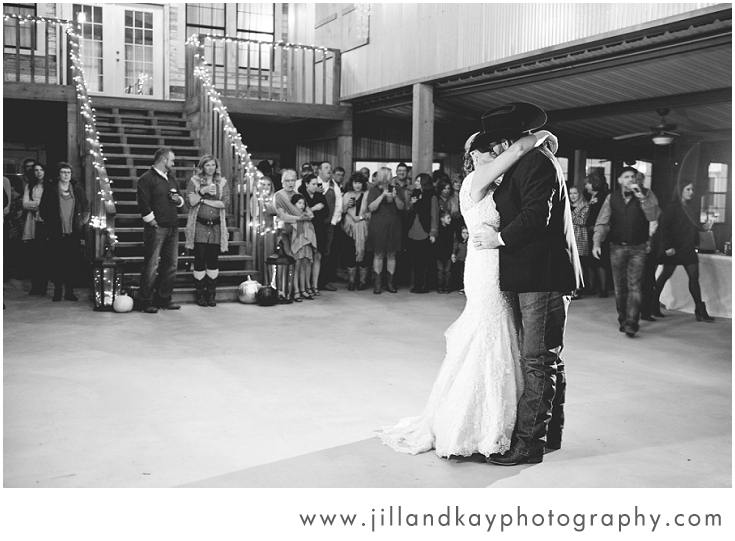 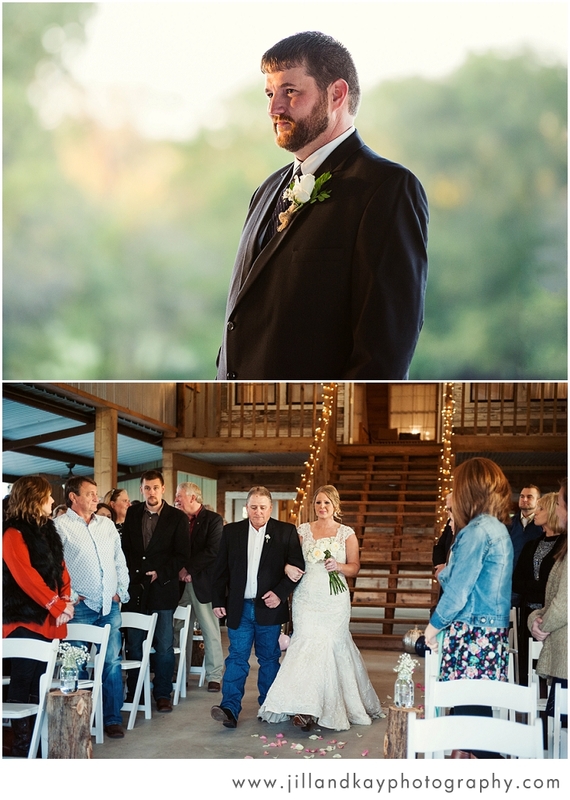 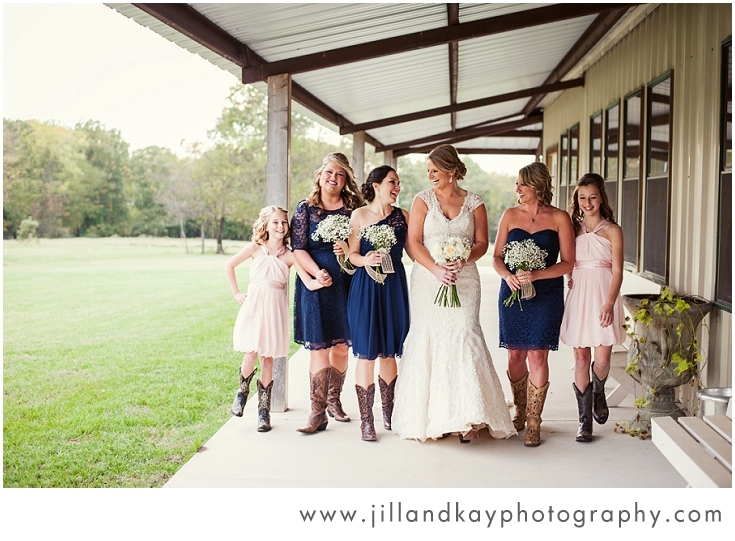 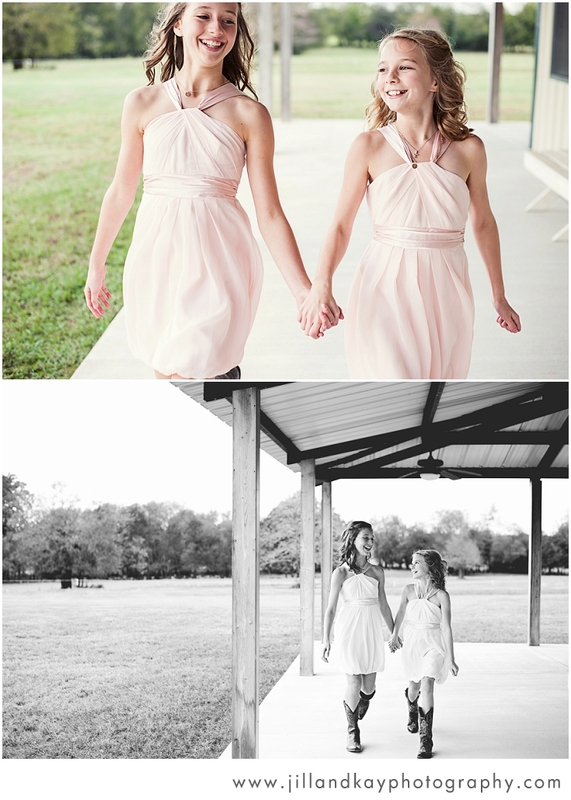 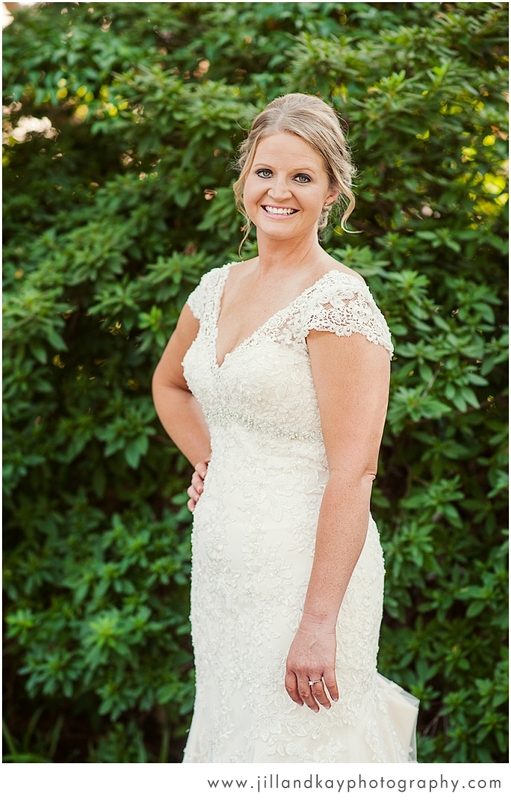 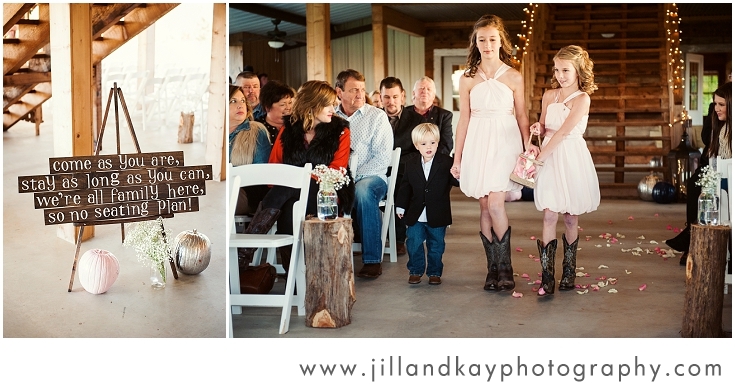 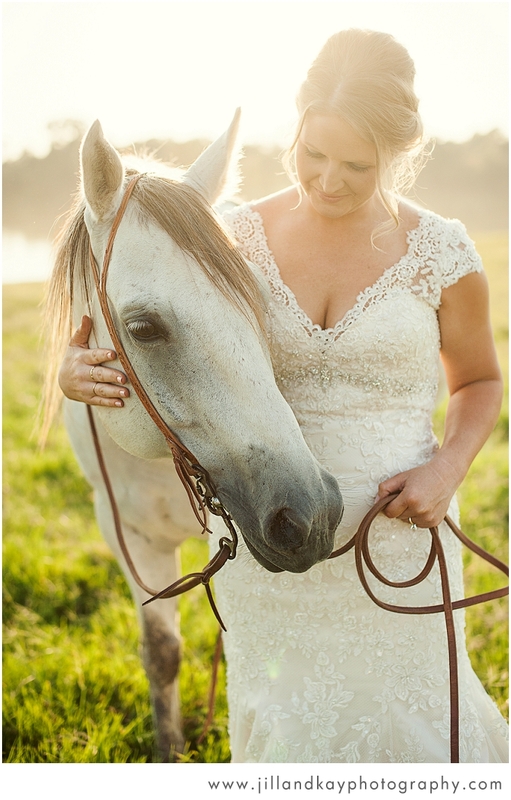 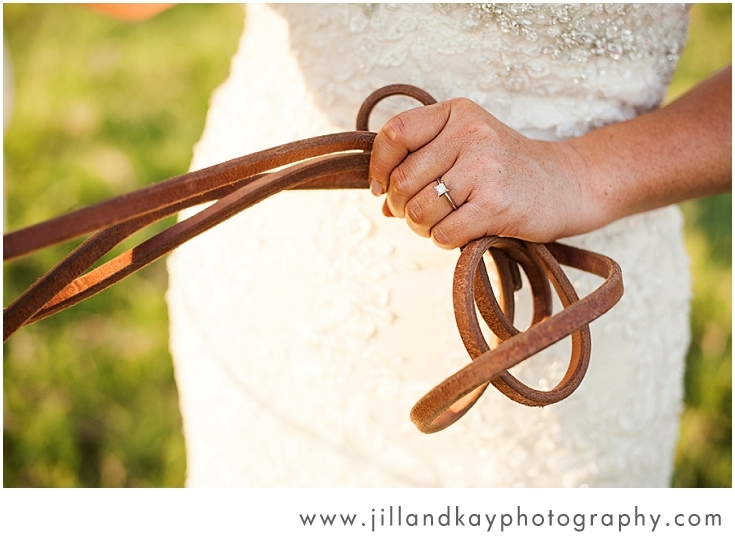 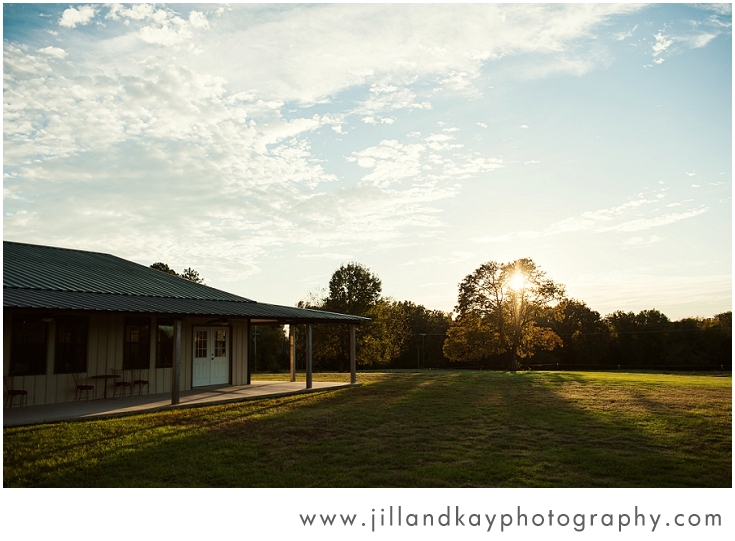 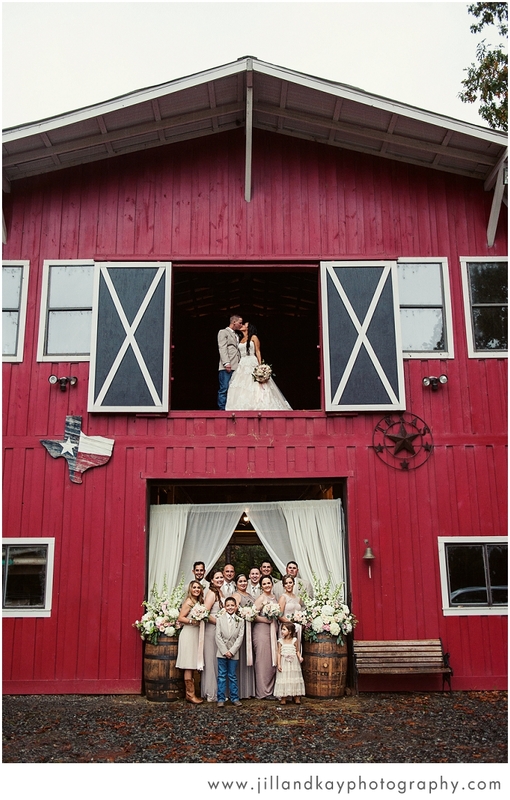 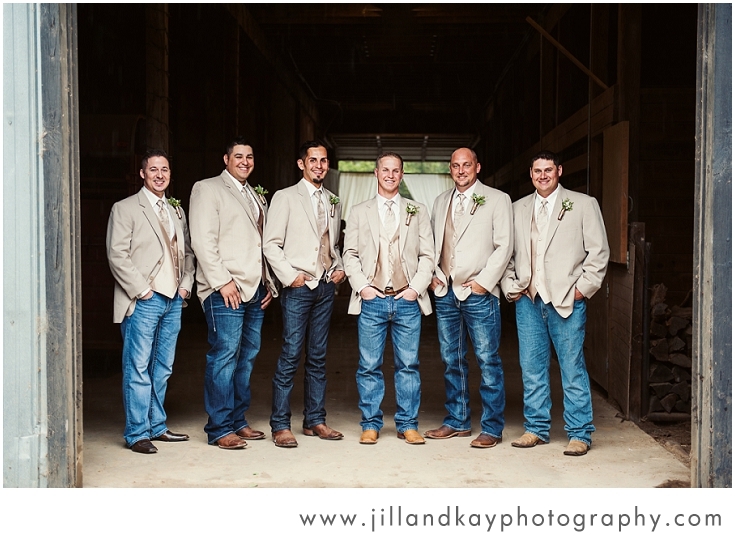 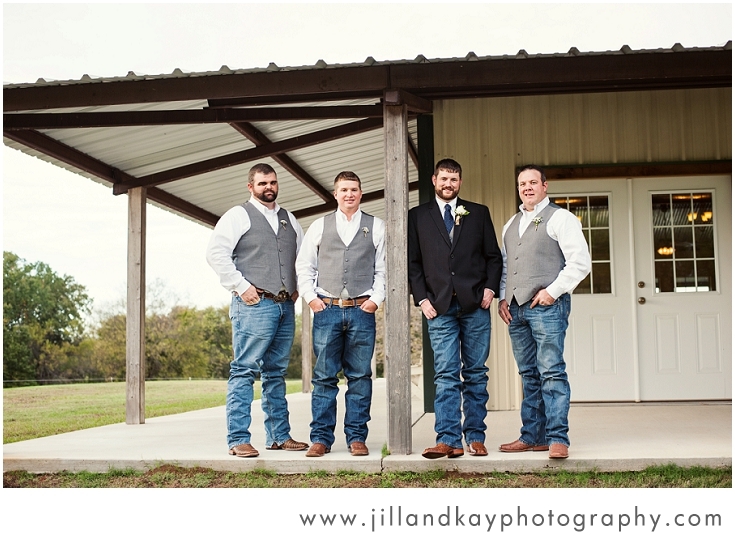 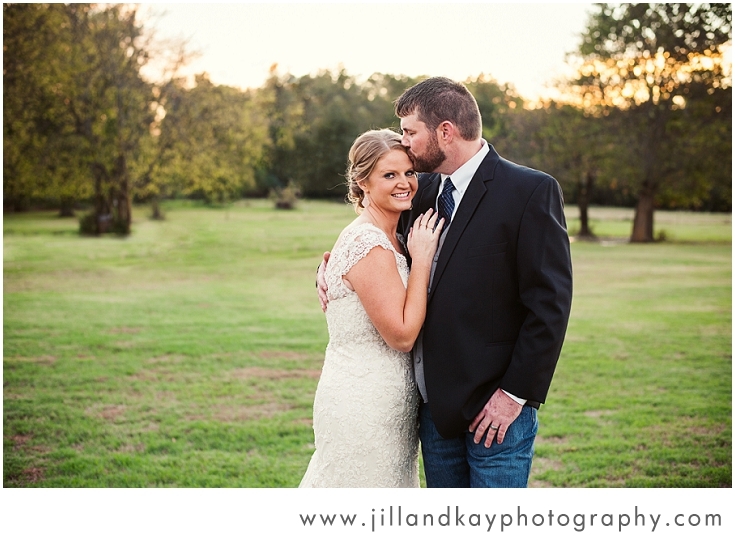 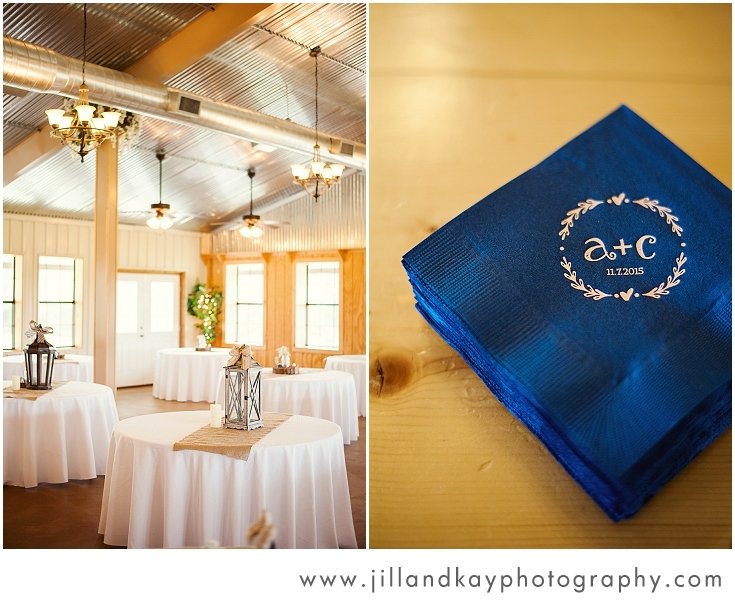 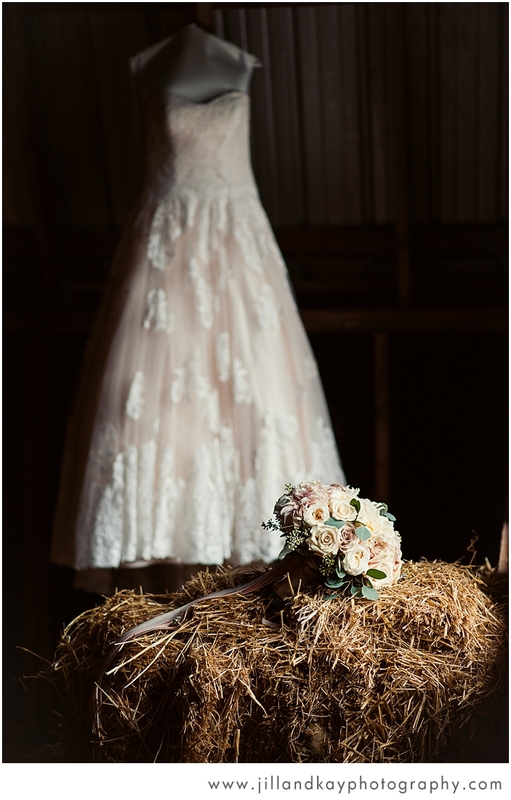 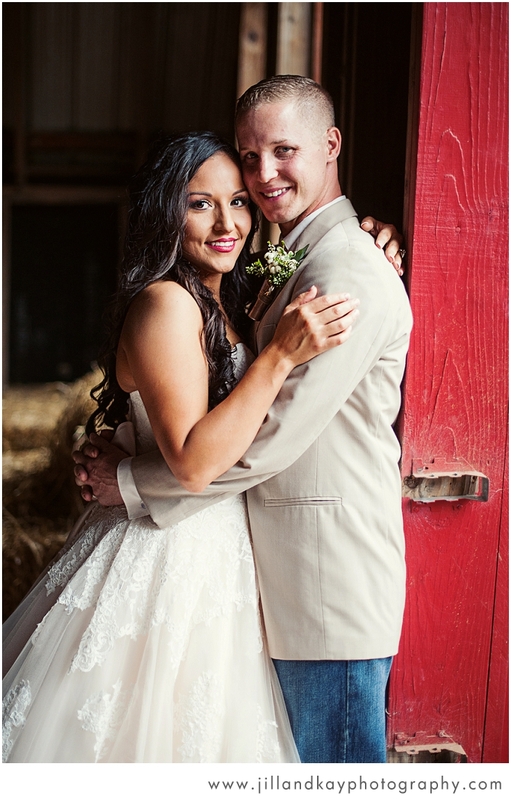 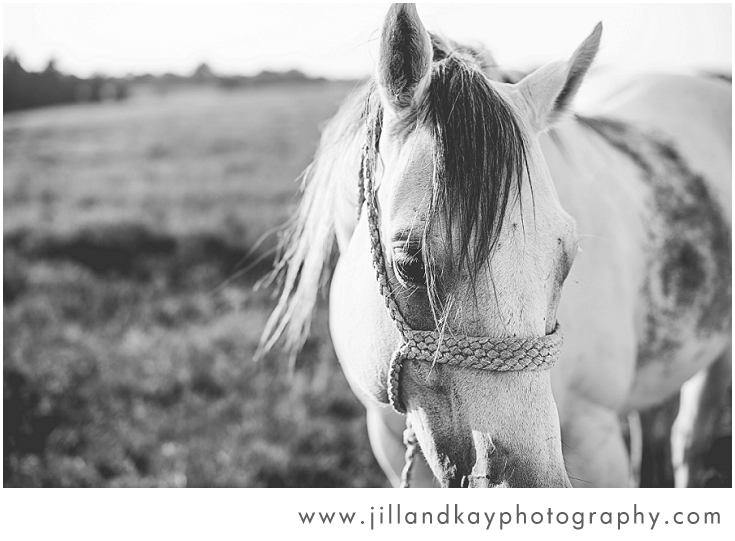 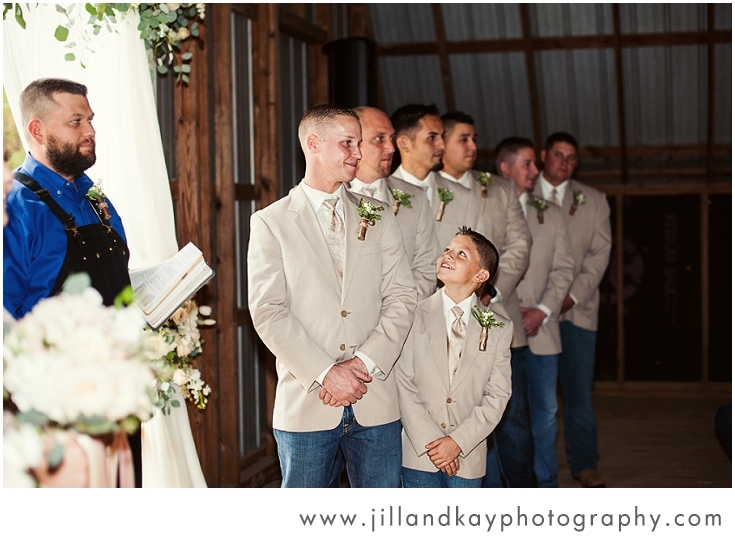 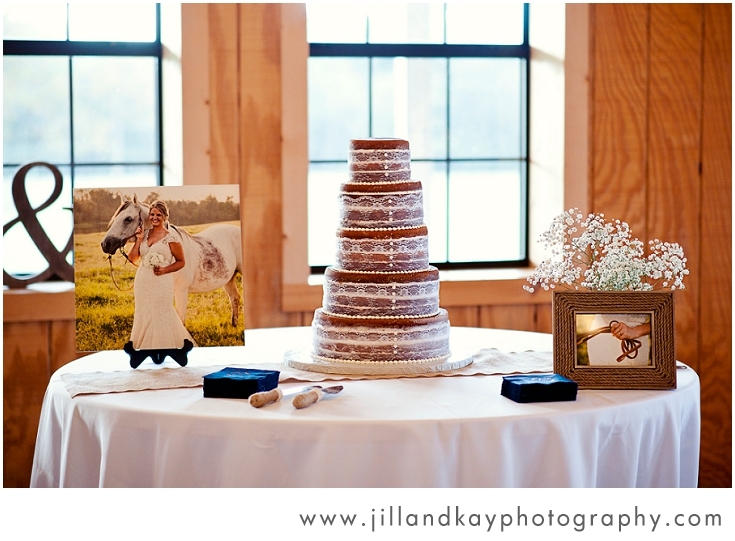 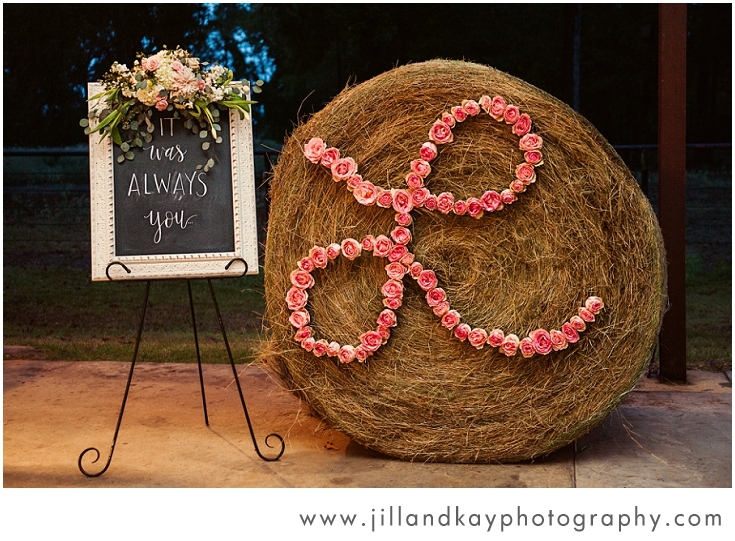 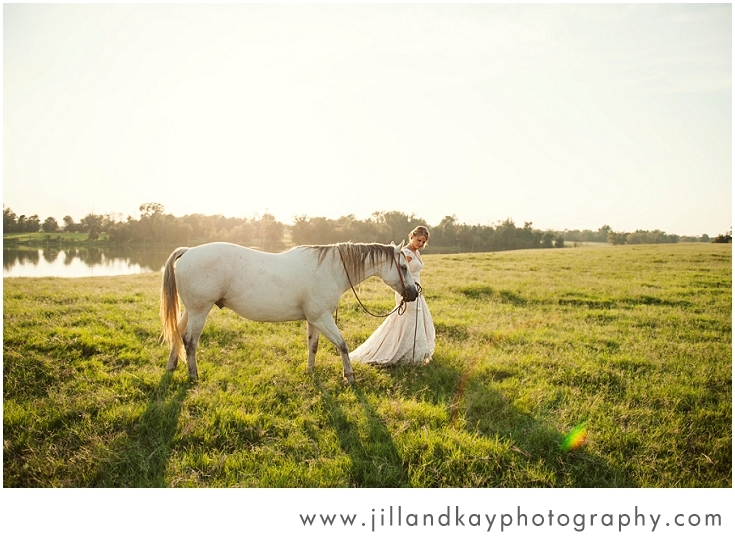 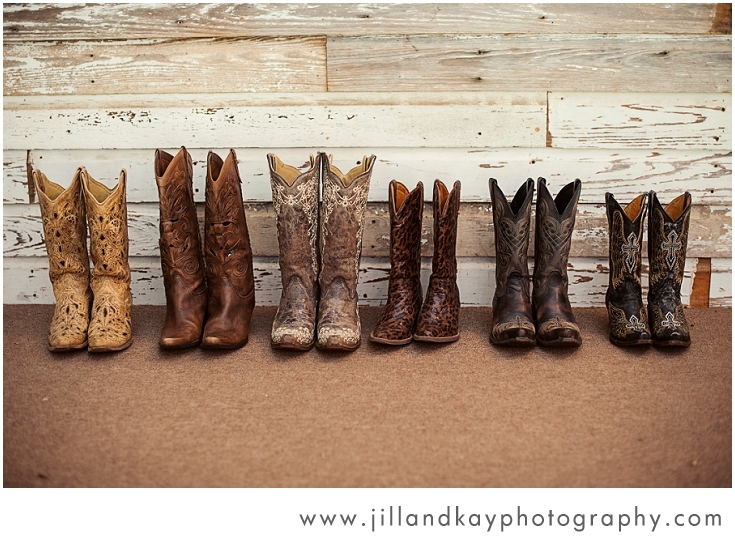 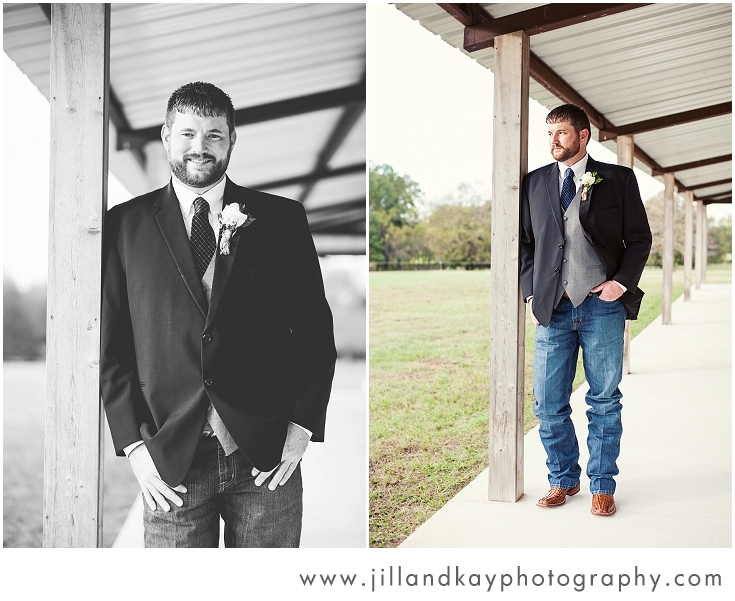 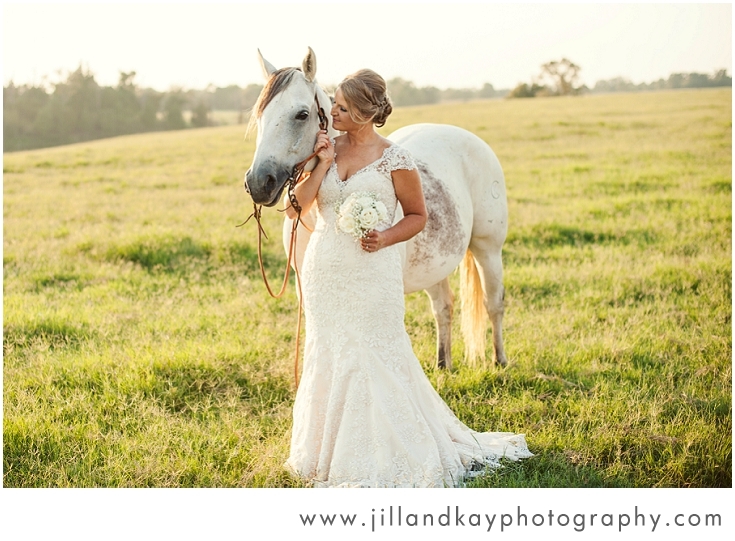 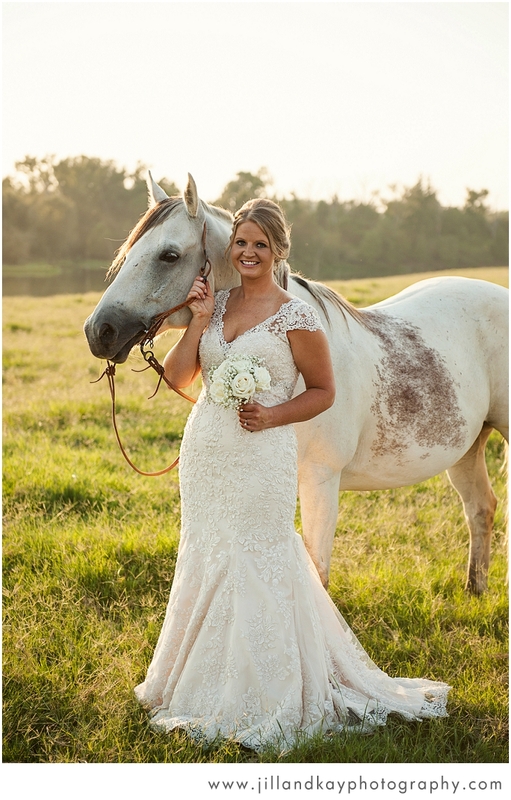 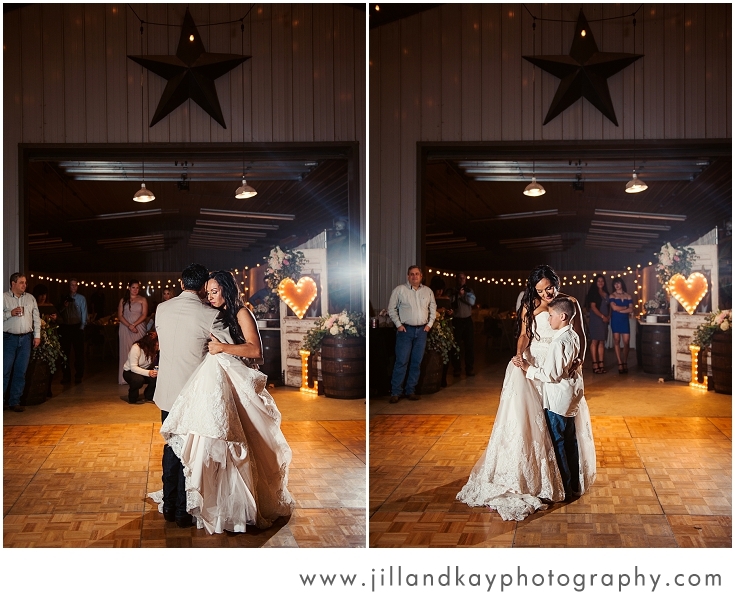 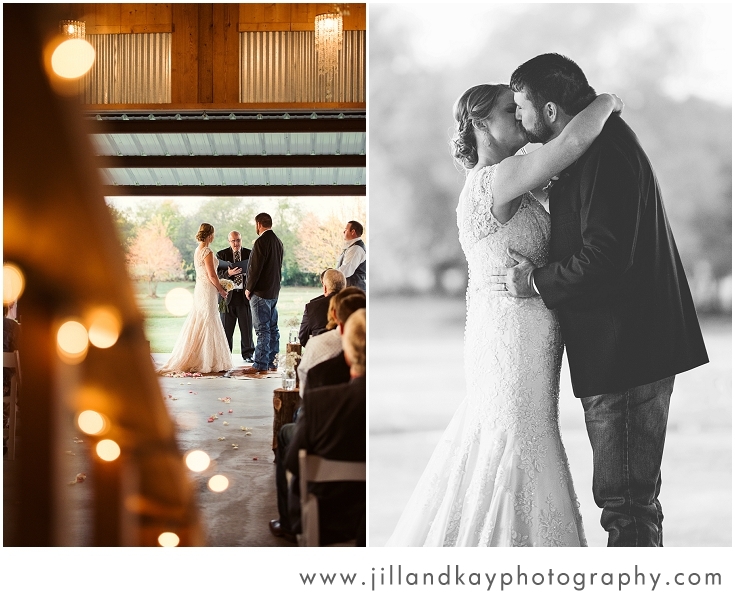 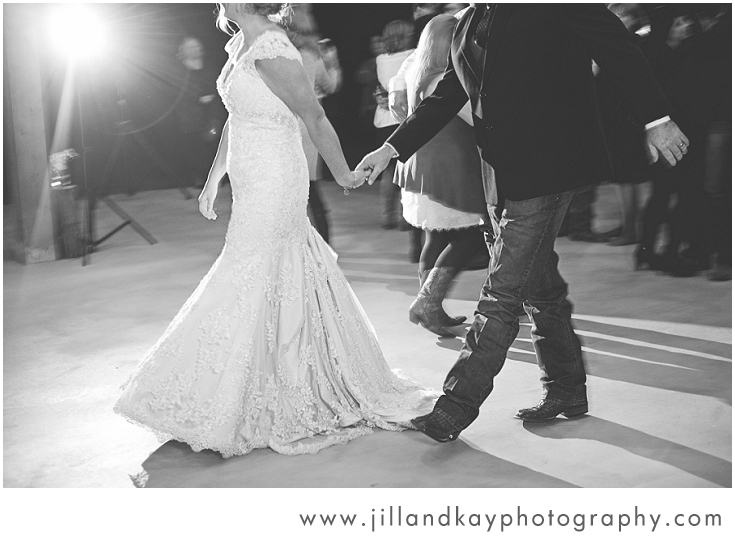 All of our barn weddings in Texas have taken place in non-working barns, which was not the case for Kentucky weddings! 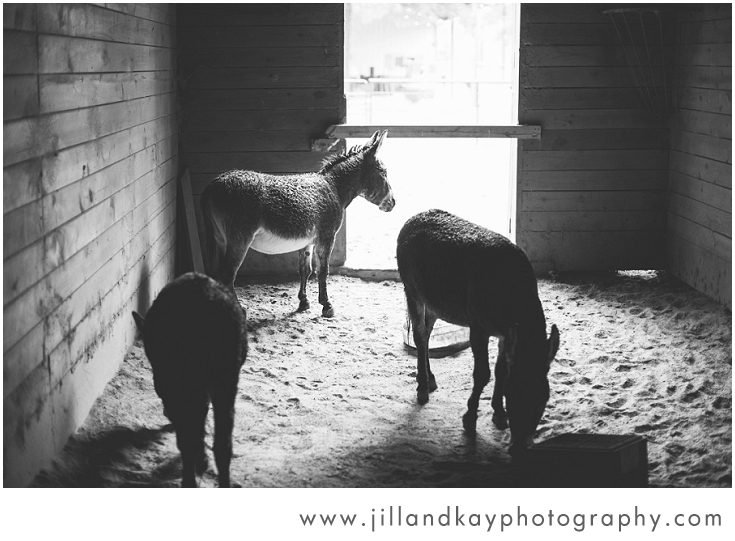 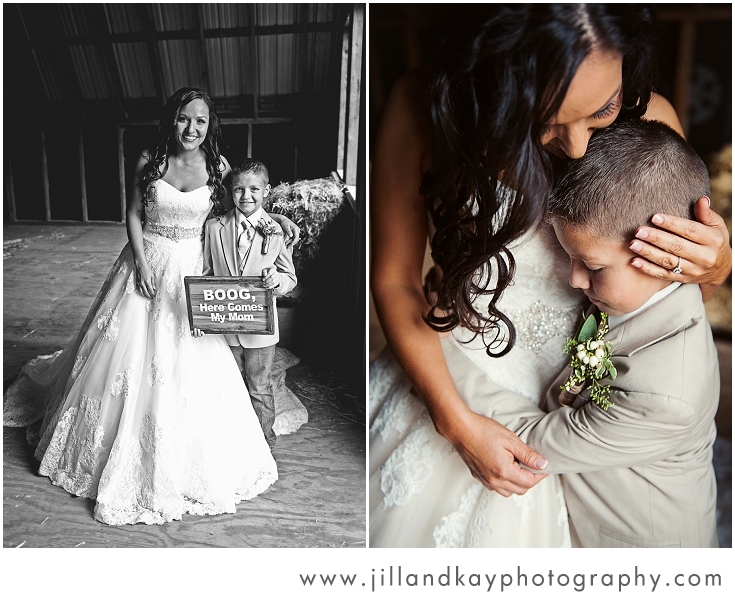 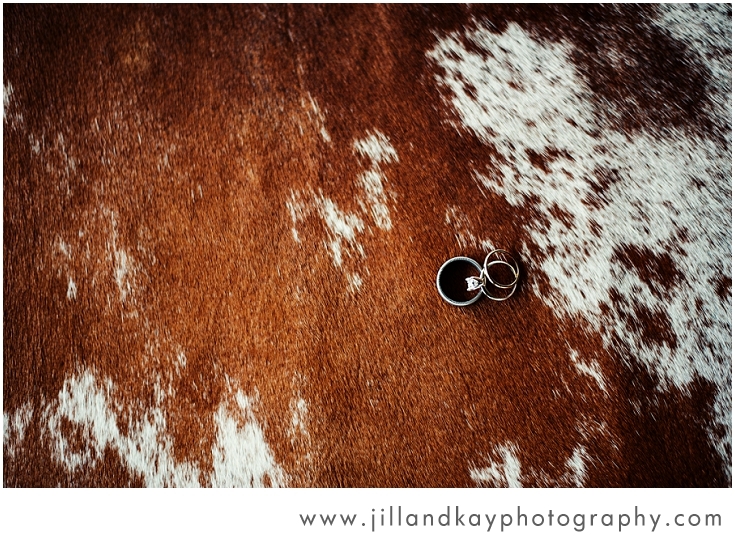 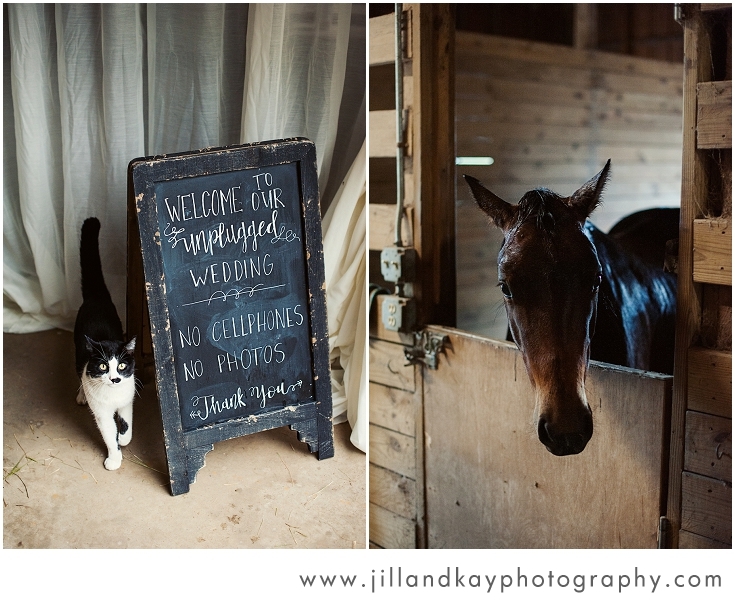 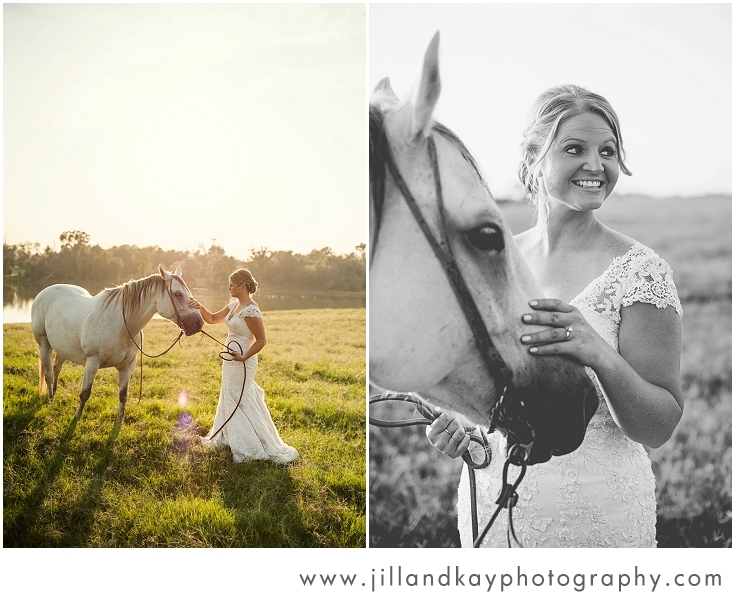 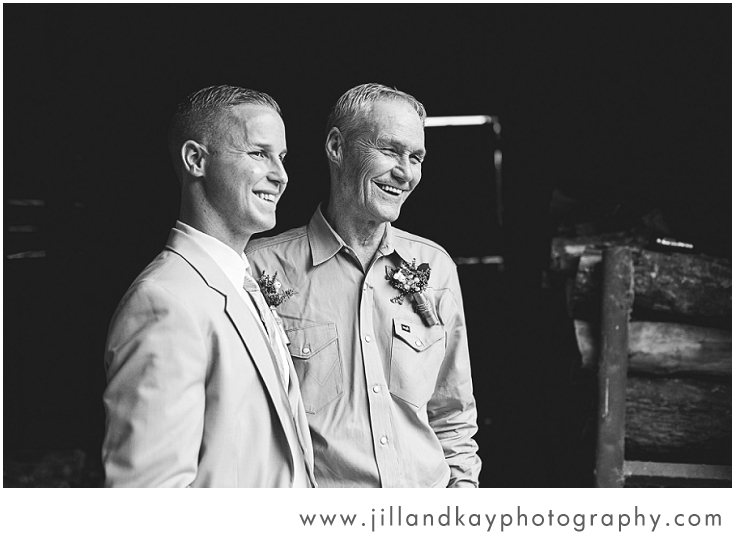 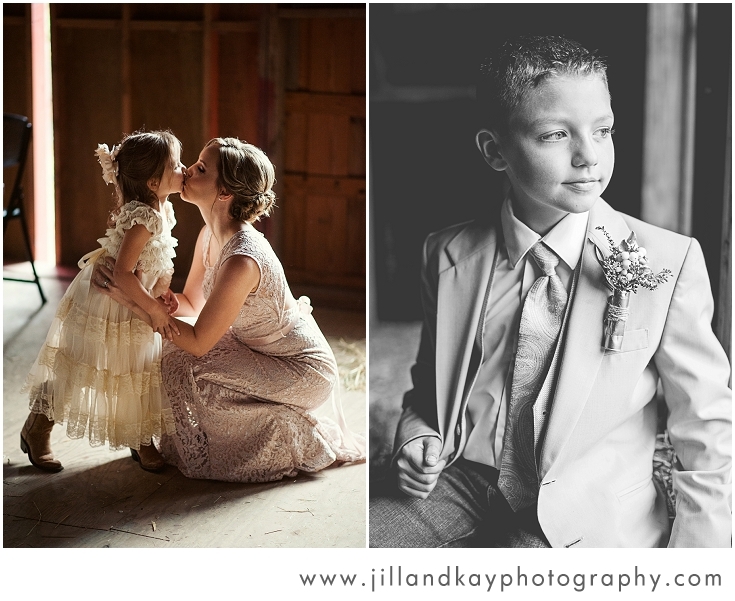 :) So when we discovered that for Boog & Maricela's ceremony, you could pet a donkey, a horse, and a cat on your way up to the hayloft... we felt right at home. 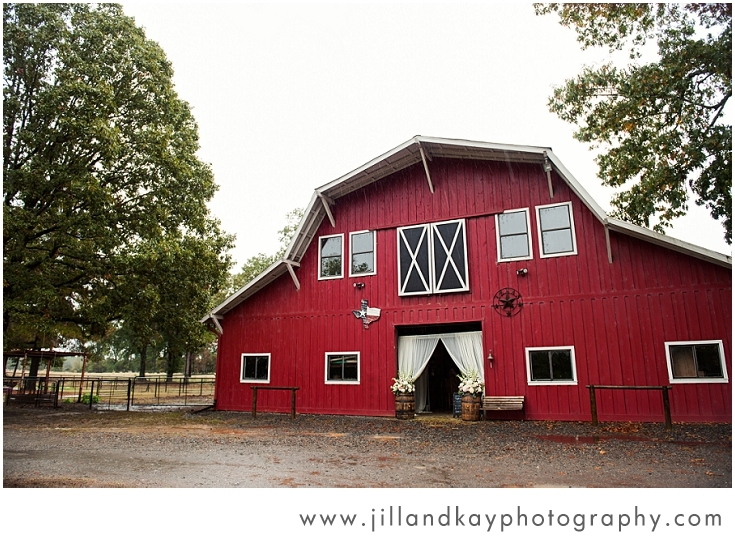 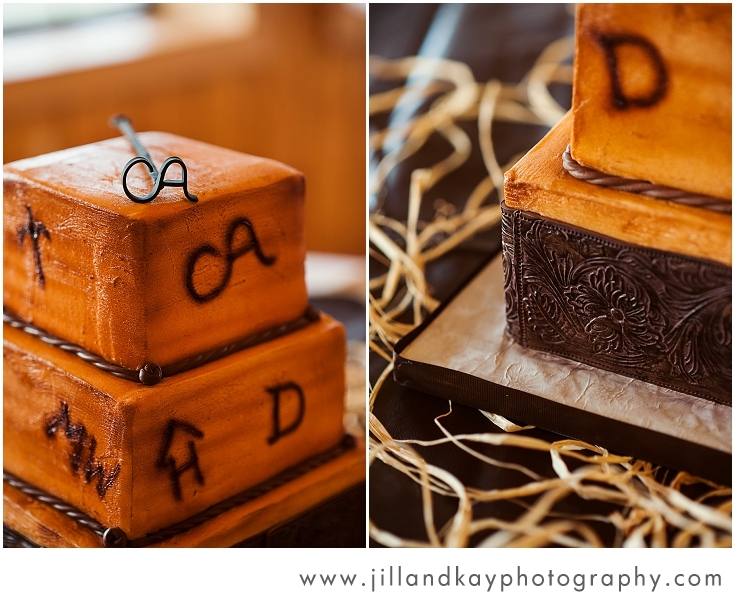 With the rain came a few changes in plans for the reception, but you'd never know it! 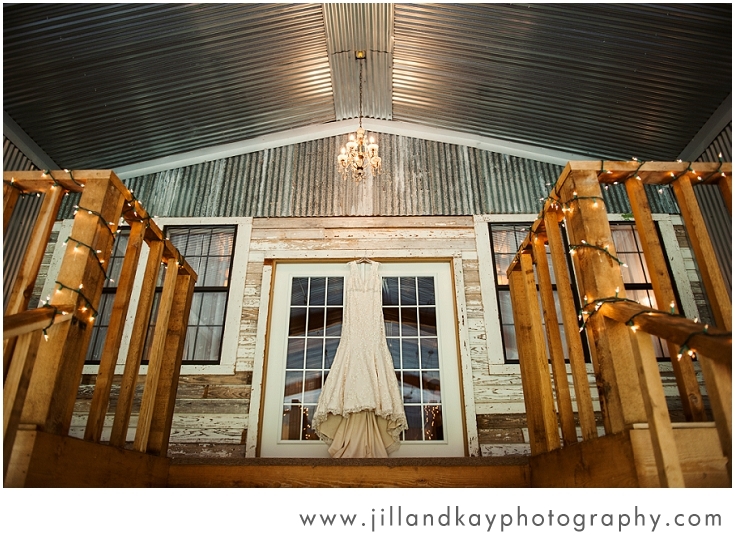 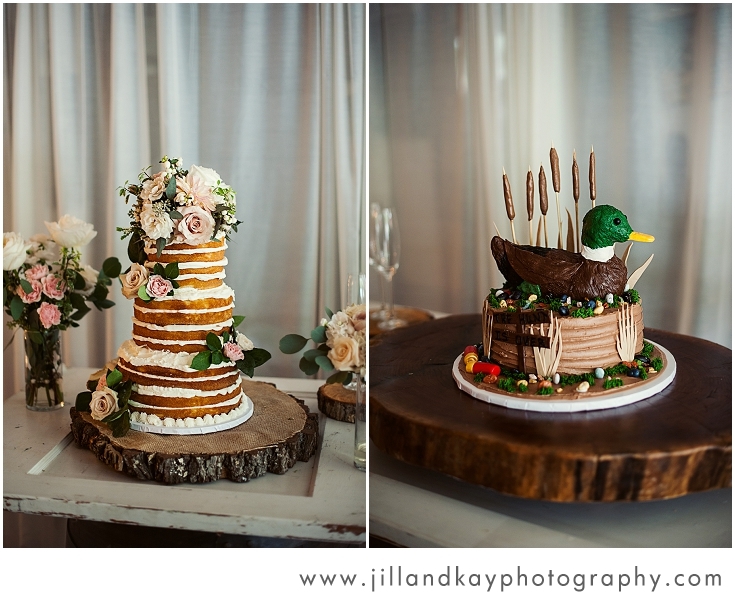 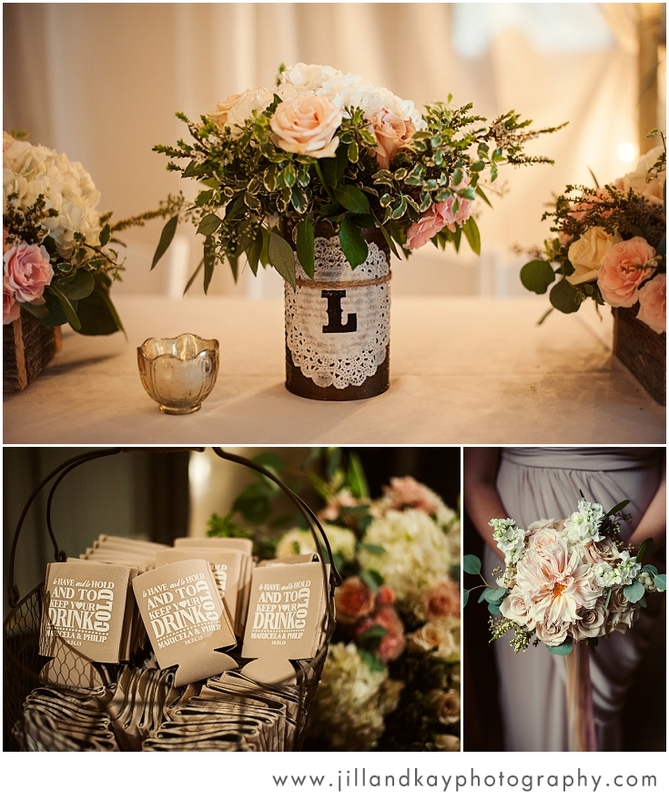 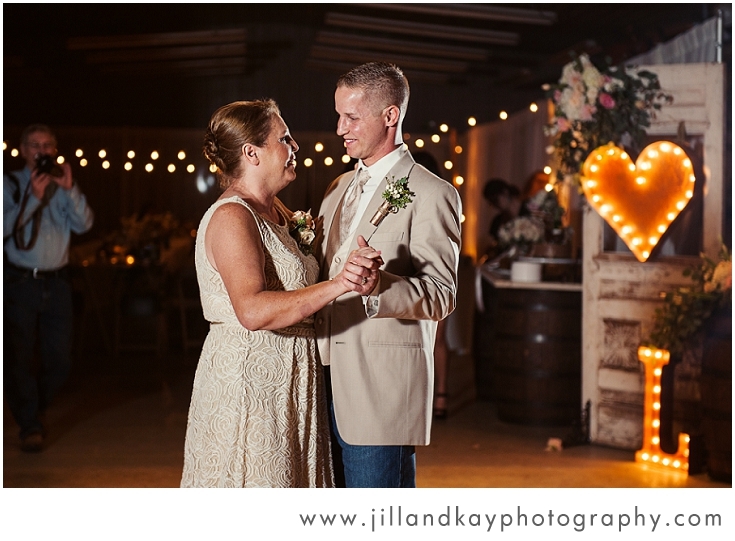 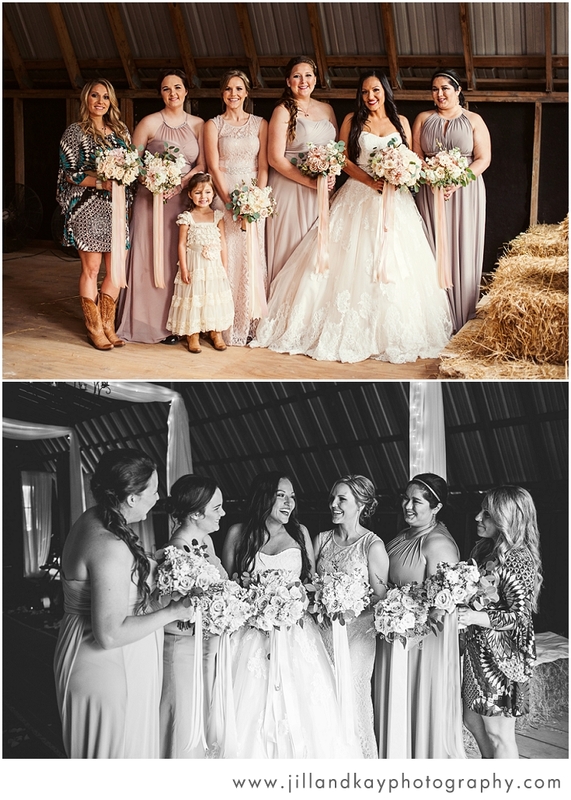 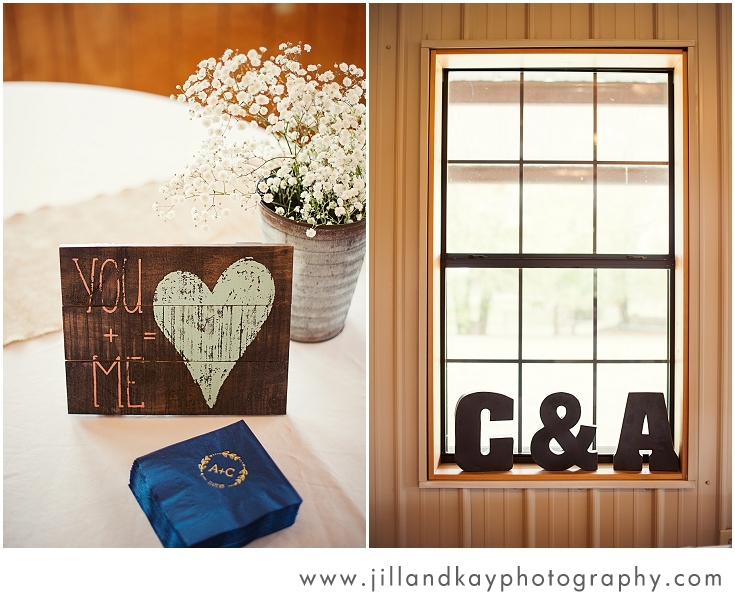 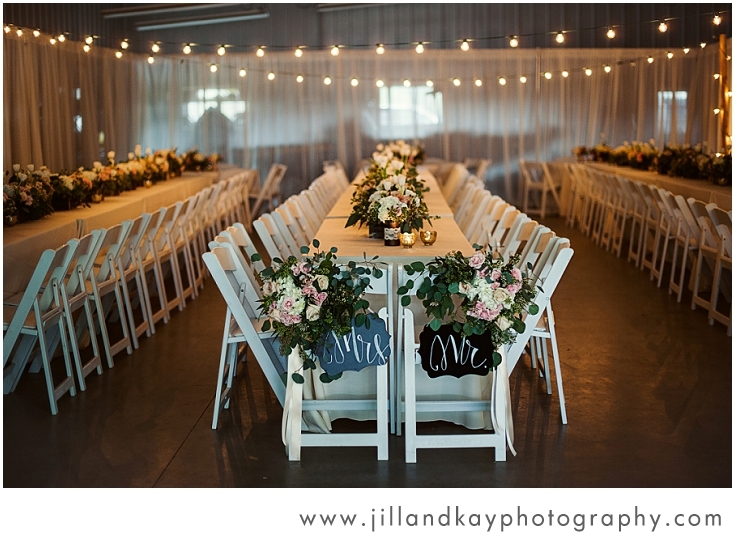 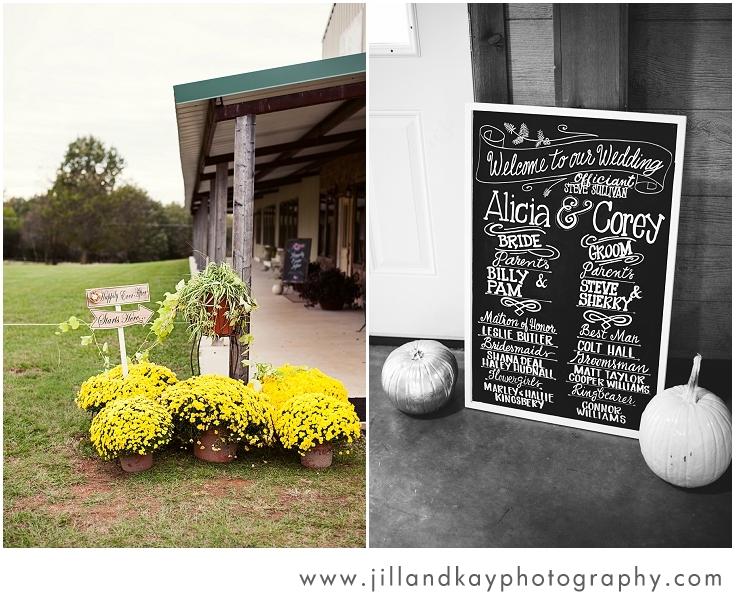 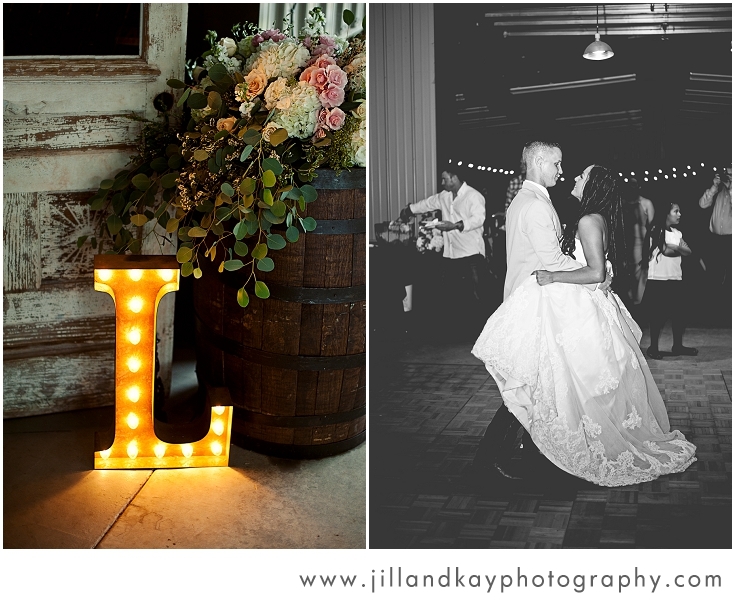 The shop next to the barn was literally transformed - becoming a gorgeous, intimate reception.